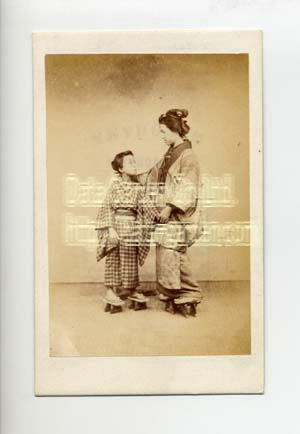 Antique Photo from "BAKUMATSU" (1850-) through "SHOWA",our proud aintique photo-rental service shop! 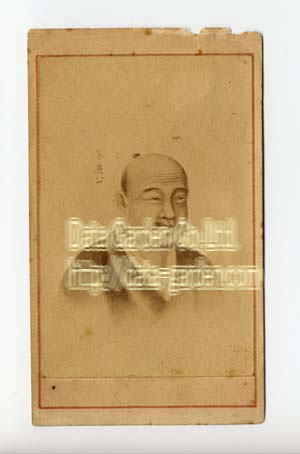 Please contact Data Garden Co., Ltd.
Subject:Ieyashu Tokugawa(Shogun),*Renjo Shimooka copied from lithograph to photo in 1872-1877. 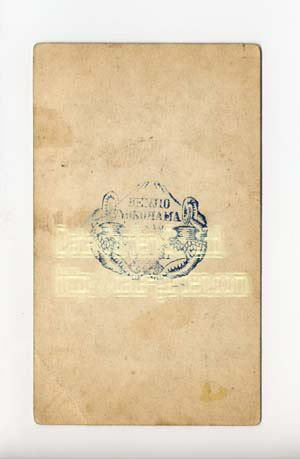 Subject:Back side of No.010 (A fire of an American steamship)There is a Renjy's Stamp. 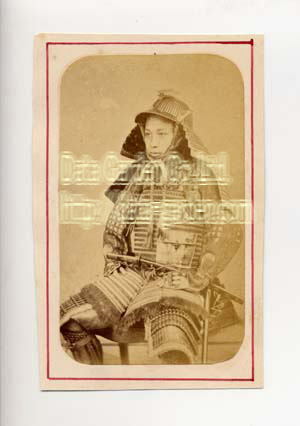 Subject:A samurai of an armor helmet*Photo by Renjyo? 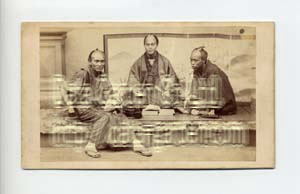 Subject:Bummaree of a bearer *This man is seen with other photographs of Renjyo's. 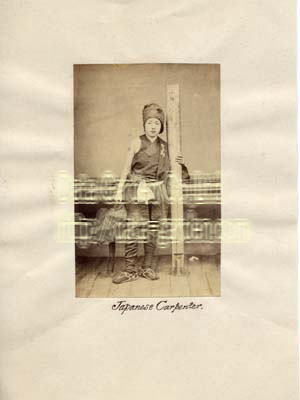 Subject:The woman who has a watch *The carpet and screen are used by Renjyo's Studio. 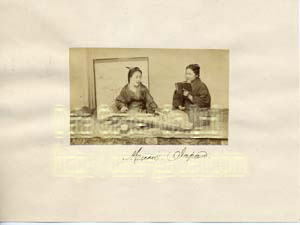 Subject:The woman who plays the koto*The carpet and screen are used by Renjyo's Studio. Contact ；　How to Order _Price Menu =We have over 7,000 pieces Photo. 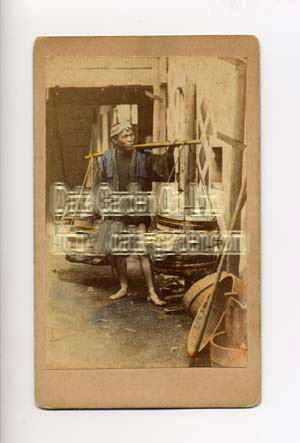 We continue adding photographs. Now you can see 2,516 photos. 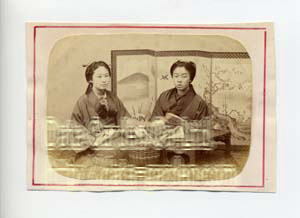 ANTIQUE TOKYO Meiji-to-Showa comming soon!You can enjoy ANTIQUE-TOKYO TOUR!! 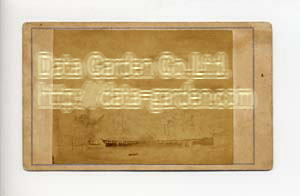 Produced by "Data Garden Co.,Ltd."